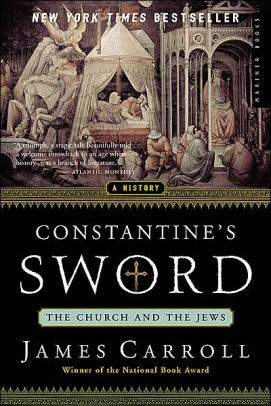 Temple Beth Israel (3601 W. Dempster St., Skokie) Presents An Evening with Novelist James Carroll (“Constantine’s Sword-The Church and the Jews”), sponsored by Adult Education, Saturday, February 16, 2019, 7:00 p.m. Nominal cost is $5.00 per person, includes desserts and coffee. Q&A follows his brief lecture. Open to the community. RSVP by Monday, February 11, 2019. For more information call 847-675-0951 or visit http://www.tbiskokie.org. James Carroll was born in Chicago and raised in Washington, D.C. He has been a civil rights worker, an antiwar activist and a community organizer in Washington and New York. He was ordained to the priesthood in 1969 and served as Catholic chaplain at Boston University. He left the priesthood to become a novelist and playwright.